Skylanders: Lost Islands gets a wintry update this week. Softpaw, another character from Swap Force who's joined to become a Companion. He'll double the number of Sugarbats you get for just 50 Gems. 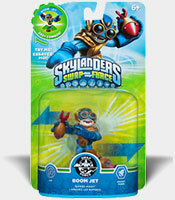 Quickdraw Rattle Shake follows Jade Fire Kraken in being released before the toy. He'll cost you 300 Gems. Snowler Brawl's Hut gives this month's Alter Ego a place to stay for 350 Gems. The Snow Globe House has returned, it costs 500 Gems and houses 600 Mabu. Perhaps wait for another Premium House Sale. 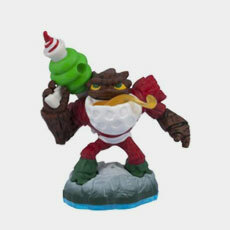 A timed quest gives away another new Alter Ego "Holiday Wash Buckler" if you own Skylanders: Battlegrounds. And your islands have been given a suitable new winter style. Skylanders: Lost Islands kicks off December with a new companion, a new Skylander and a brand new Alter Ego. 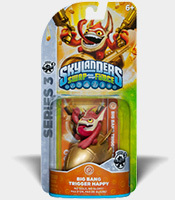 Tessa, another new companion from Skylanders: Swap Force, has joined and for the price of 3000 of your Gems she'll boost the Mabu population by 25%. 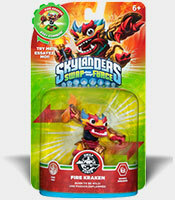 Jade Fire Kraken has been added, despite the fact that he hasn't even been released as a real toy yet. It'll cost the usual 300 Gems or a spin to get him. Snowler Brawl was released yesterday as December's Alter Ego version of Roller Brawl, throw your Wishstones in the Wishin' Well to win her! 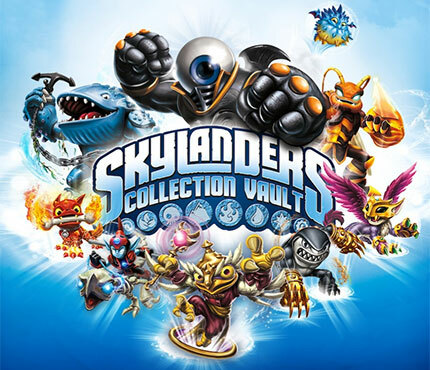 A brand new free official app has hit the iTunes Store, called Skylanders Collection Vault it allows you to catalog your collection by entering their webcodes. The festive themed Jolly Bumble Blast has been given a release date, according to GameStop it's due out on the 7th of December in the US, Best Buy have it listed for the 8th. The recently Androidified Skylanders: Lost Islands has seen another of its weekly updates, since Thanksgiving is this week in the US it's the Week of the Bird! 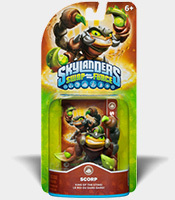 A new Bird House for your "Bird" Skylanders, they'll cost you 200 Gems each. Only available until Sunday! 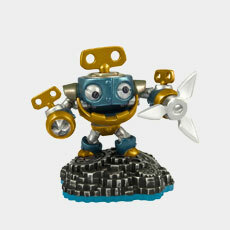 During the Week of the Bird all of your Bird Skylanders will get double gold. 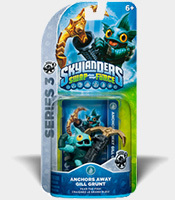 On Friday morning all Skylanders will be 80% off, it runs from 4AM to 12PM so try to get on early if you want to buy one. December's new Alter Ego is going to appear in the Wishin' Well on Sunday so make sure to have won Birthday Bash by then! 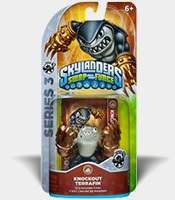 New companions Gorm and Tuk who double gold and hero points for Swap Force Skylanders, they cost 400 Gems. Enchanted Hoot Loop becomes available if you don't have the actual toy, it'll set you back either 300 Gems or the cost of a spin. And three new timed quests for shrines involving Avril, Nitro Magna Charge and Birthday Bash. To celebrate a year since the launch of Skylanders: Lost Islands they're gearing up for even more birthday celebrations this week. 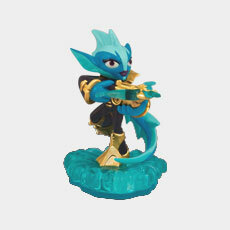 Another character from Skylanders: Swap Force becomes a companion, for 400 Gems Avril will double the kudos awarded to you from gifts and visiting. November's Alter Ego now has Birthday Bash's Hut to use. Nitro Magna Charge is available to those without the toy, it'll cost the usual 300 Gems or a spin. A couple of timed quests, one for last week's companion, Wheellock, and one for last week's new Skylander, Volcanic Eruptor. The #1 Fans are returning for free at the weekend as part of the Birthday Celebration that'll also offer 50% off all companions and have past alter egos in the Wishin' Well as top prizes. 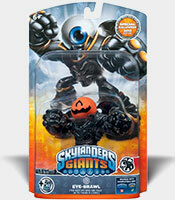 Darkness descends on Skylanders: Lost Islands as a new selection of Skylanders join the fun. 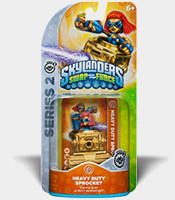 The Wave 2 Skylanders are now all in the game. It's the usual 300 Gems for the swappers and 200 for the core. Dark Wash Buckler and Dark Slobber Tooth can now also be bought if you don't have the toy, 300 and 250 Gems respectively. A "Dark Days" event will be running for two weeks (ends November 3rd) where all your Dark Skylanders will have an extra 100% gold bonus. Skeletal Cynder's Hut has arrived for 350 Gems. A new companion called Ma-Boo has appeared, find him in your Kingdom once each day to receive a Wishstone. Costs 30 Gems. The disguised trolls are back, giving a Wishstone when you clear them. Some have reported finding them already at Toys R Us and Sam's Club and that quantities may initially be more limited than that of Wave 1. The method to get the glow-in-the-dark Rattle Shake variant "Quickdraw Rattle Shake" has been revealed. 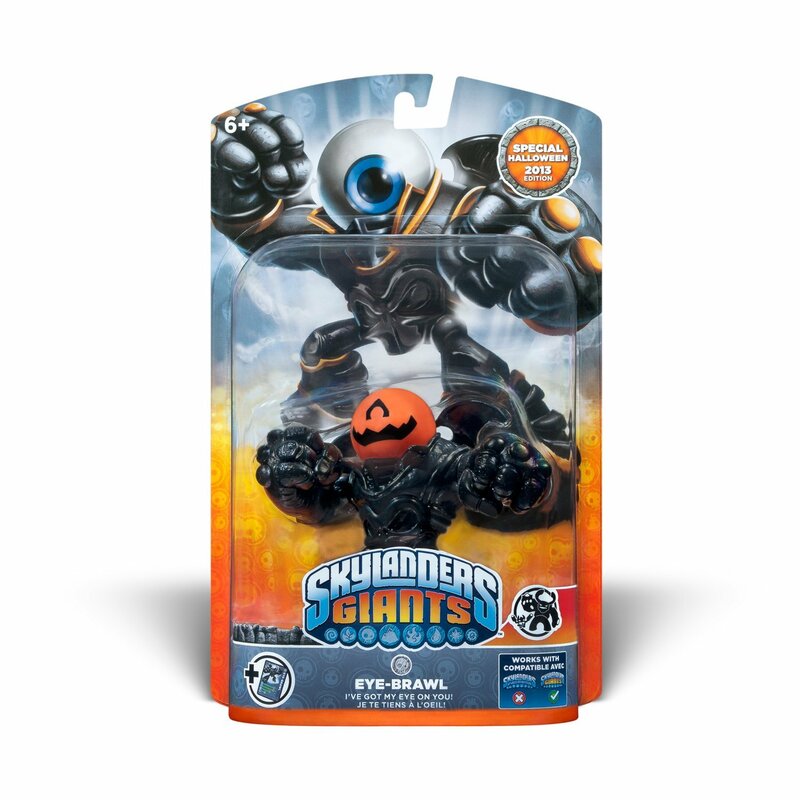 The toy will be given away by Frito-Lay in much the same manner as their current Fright Rider sweepstakes. It starts at the beginning of November so look for the specially marked packs in US stores soon. Or SWAPtober if you prefer. 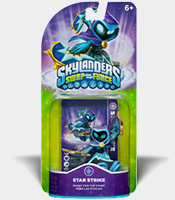 There are a few things going on to mark the launch of Skylanders SWAP Force, first up is that during the whole of October the official Skylanders twitter account will be giving away a single SWAP Force Starter Pack each day. 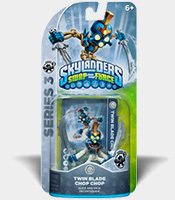 Fans can then tweet their favorite SWAP Force character combination along with a suggested catchphrase using the hashtags #SWAPtober and #Skylanders for the chance to win one of the daily Skylanders SWAP Force Starter Pack giveaways, which will be available after the game's launch. On Thursday the 10th from 3-6 PM there will be "celebration" in Times Square dubbed SWAPtoberfest where "fans will have the chance to be among the very first to play the game before it's available at retail" (the game launches on the 13th). SWAPtoberfest will feature Skylanders SWAP Force-themed activities, photos with Skylanders costumed characters as well as chances to win a Skylanders SWAP Force Starter Pack and special Skylanders-themed merchandise from top companies like MEGA Brands, Rubie's Costume Company, Hybrid Apparel and Power A. And on the 12th and 13th at the Toys R Us flagship store in New York City you'll find "one-of-a-kind in-store experiences, including game demos and giveaways" to celebrate the launch of the game. 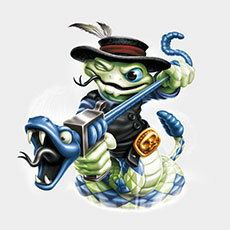 Skylanders: Lost Islands gets its weekly update with a new house and a new companion. Super Tuesday tomorrow will be to get a chest every time you clear a troll/sheep/chompy pod so try to save them up if you can! 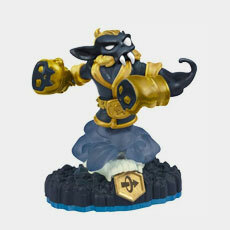 The official Skylanders website has been updated with all of the artwork, videos, back stories and a few screenshots of each of the new Skylanders SWAP Force characters like Punk Shock and Wind Up below. Several new trailers for the game have also been posted on the official Youtube channel like this CGI trailer introducing us to a new villain. A few new alternative decoration toys have been discovered recently including a new Enchanted Hoot Loop, the first visual of Nitro Magna Charge, and an odd looking Jolly Bumble Blast. The first two you can find on the official website but Jolly Bumble Blast remains elusive. Frito-Lay have launched a new sweepstakes to win a special orange and black Fright Rider. 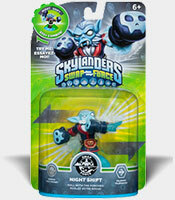 You find a code inside the large packs and enter it online for a chance to win one of the Fright Riders. It runs until the middle of November but remember it's just a chance to win unlike with the Sidekicks. A fairly large update has hit the Lost Islands this week, you'll need to go to the App Store to update the app this time. A brand new type of currency called Kudos that is earned from the social objectives and used to buy a few things. Admiral Thumpback is a new Alter Ego but not from the Wishin' Well, instead he'll cost you 2000 Kudos. A new companion, Capybara King, costs 150 Gems but then causes all of your chests to have a bonus gem inside. 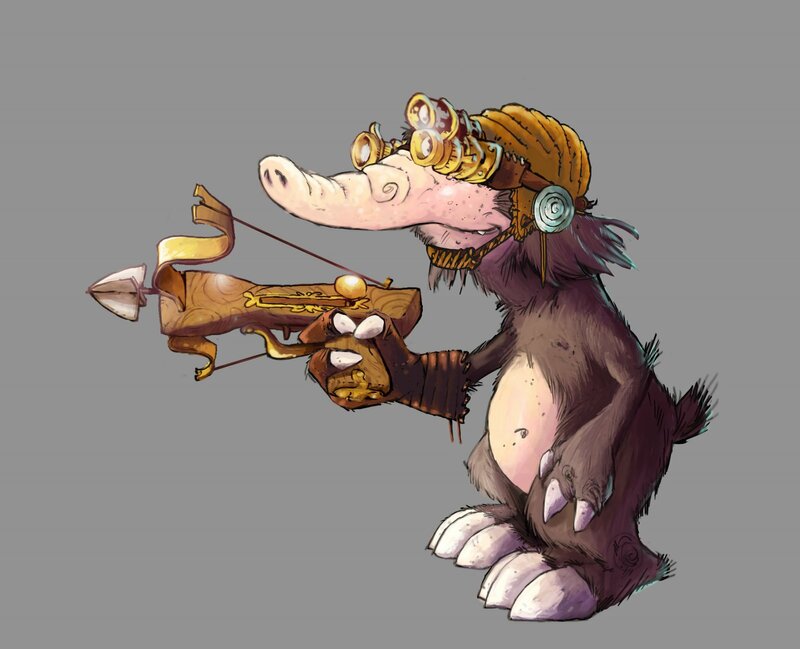 Gurglefin is another new companion, he costs 400 Kudos and adds the chance to get Wishstones from gifts. The penultimate Sidekick Thumpling also sneaks in, he'll cost you 300 Gems if you don't have the toy. You can get Thumpback's House for free until the 29th. 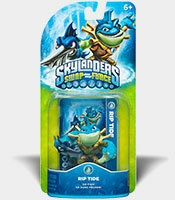 It's also Water Week which means Water Skylanders get +25% gold just like the Dragon Skylanders did last week. And finally there's a new bunch of decorations as well as a house for you to spend Kudos on. Super Tuesday is a free gem each hour that you have to collect from Orville and 33% off Shrines. All this week is Dragon Week in Skylanders: Lost Islands. A new "Dragon Lair" house for all of the dragon Skylanders to use. It'll cost you 1200 Gems though. 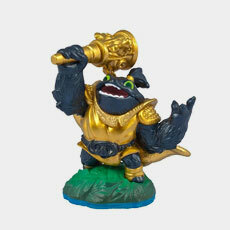 The Dragon Week event gives all of the dragon Skylanders 25% extra gold until Sunday. And level 40 has a new "Stage" community building. Oddly no new sidekick this week.